Are you are suffering from depression or experiencing times when you feel outwardly low, then visit Zhongba Hospital. For acupuncture treatment, we have very experienced Chinese acupuncturists Dr. Sang Mailin at ZhongBa hospital. Acupuncture is an alternative form of medicine and is an accessible component of traditions in Chinese medicine that involves applying pressure to acupuncture points on the body to relieve pain. This alternative method of pain relief has other benefits, like reducing stress, and is becoming more and more popular in Pakistan now. Our Chinese medical staff performs one session in 45 minutes. Sessions number varies according to your health condition. To diagnose a patient, our Chinese acupuncturists ask for your medical history, which allows him to provide you with a more effective treatment program. You will start to experience relief within a few sessions of our Chinese acupuncture treatment. Apart from hands-on techniques, we treat patients by using various Chinese methods and techniques of stimulation, like long needle insertion, short needle insertion, non-piercing needles, fingertip pressure, golden balls taped to the points, electrical stimulation, moxibustion (burning of herbs over the ends), and various other techniques. Ordinary medicines are harmful to your health in many cases and may produce side effects in the long run to your health. Seeking treatment for the procurement of your health issues without harmful side effects, like acupuncture treatment and Chinese herbal medicines, can be an excellent choice for complete health. 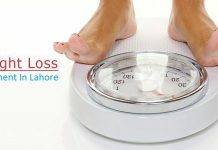 Are you looking for a Chinese doctor, who specializes in traditional Chinese medicine, or specifically acupuncture in Lahore. Then you should trust ZhongBa hospital for your complete medical health. We have skilled and potent Chinese acupuncturist who have decade’s expertise in treating health issues with the help of Chinese therapies and TCM. 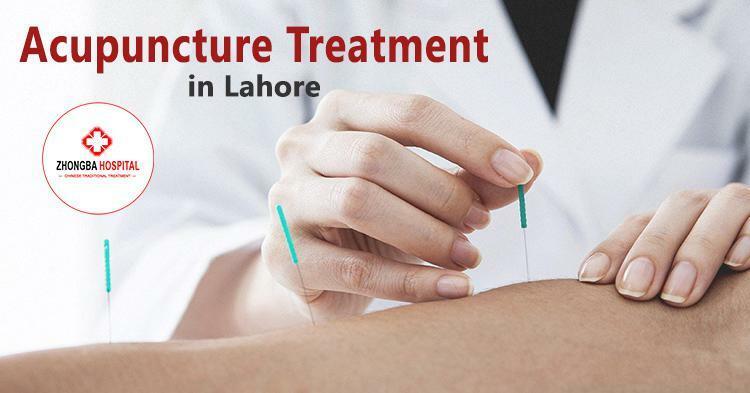 There are numerous acupuncturists in Lahore for acupuncture treatment, which assure you their perfect treatment but fail to fulfill their promise. Make sure you look into each doctor’s qualifications and certifications. Although this treatment can be found all over Pakistan, it has been proliferating in Lahore. We have qualified and experienced professionals, which have expertise in providing natural medical care to people who are suffering from headaches, migraines, back pain, allergies, and other illnesses. Acupuncture requires specific techniques and skills to provide treatment adequately. Each patient receives a different kind of acupuncture treatment explicitly depending on the condition of the patient.